During the last two months NI-CO has facilitated study visits for 23 representatives from the Ministry of Social Development in Jordan as part of our Twinning Project “Strengthening the capacity of the Ministry of Social Development of the Hashemite Kingdom of Jordan to promote and protect the rights of vulnerable families, women and children”. The group included representatives who work with juveniles, vulnerable families and children, disabled adults and abused women, and the community and voluntary sector as well as senior Ministry officials and heads of departments. 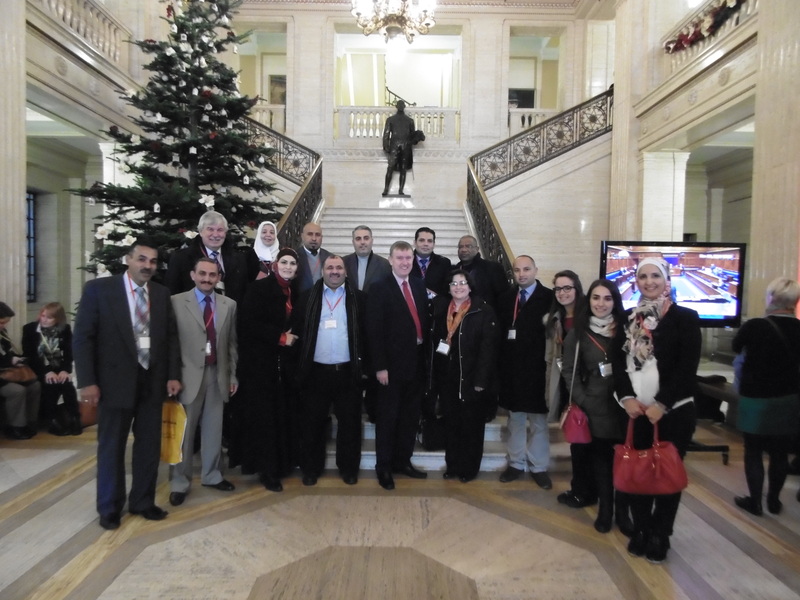 These study visits allowed key personnel from the MoSD to meet key officials within government and the departments responsible for social services in Northern Ireland. The participants had the opportunity to hear directly from others on how policy and practice in the field of social services has evolved and is being currently developed and how effective quality assurance and monitoring systems have been established. Officials from the MoSD were given opportunities to visit family centres, centres for the disabled and child protection and family support teams, where they were introduced to experienced managers and staff and received presentations and training on key management processes, administrative processes and new practice interventions in the care of vulnerable families, adults and children. They had a chance to familiarize themselves with other types of services, including job creation and vocational/other educational services offered. The visit also provided an opportunity for the group to learn more about EU best practice in the field of community based social care, regional community care planning and commissioning of services to non-governmental entities. The Chief Executive of the Charity Commission for Northern Ireland, Frances McCandless, gave the group an overview of how the Commission was set up and it roles and responsibilities in Northern Ireland. An overview of NICVA, the Northern Ireland Council for Voluntary Action, a membership and representative umbrella body for the voluntary and community sector in Northern Ireland, and Volunteer Now gave some interesting perspectives into the work in this sector. These meetings allowed participants to see how practices have developed in pursuit of government’s vision and objectives in Northern Ireland. This included the policy making system now in place, service planning mechanisms at central and regional levels of government as well as in local communities. Mr Paul Martin, Resident Twinning Advisor on the project, accompanied the groups while they visited the Department of Health, Social Services and Public Safety to get an overview of the work of the Department and the structures within the Northern Ireland government. The rest of their time in Northern Ireland the group had the opportunity to visit more specialist facilities and see the work that goes on at every level here and how it is interconnected. The first group visited a Juvenile Justice Centre and a care centre for young people where they had the chance to speak to some of the young people themselves. The Cedar Foundation hosted two excellent sessions on their work in supporting children and adults with disabilities to participate in all aspects of community life, and followed this up with a tour of one of their residential homes which are fully equipped with SMART technology. The groups paid a visit to Muckamore Abbey Hospital, which provides inpatient, assessment and treatment facilities for people with severe learning disabilities and mental health needs, forensic needs or challenging behaviour, to meet some of the experts who had been out to Jordan to deliver training to staff in the MoSD. The Director of Mental Health, Learning Disability and Social Work in the Regulation and Quality Improvement Authority gave the group an insight into the ongoing inspections and reviews of health and social care services in Northern Ireland as an independent health and social care regulator, explaining how their work encourages continuous improvement in the sector. The first study visit group visited Beech Hall Day Centre. The opportunity to see the facilities and meet the hosts throughout the two weeks gave the participants an invaluable opportunity to put the training and advice they had received to date on the project into context and work has already begun on putting some of the learning points into action back in Jordan. NI-CO supported IMG in the delivery of a large scale EU programme aimed at improving capacities across a wide range of areas in the policing and accessible justice sector. 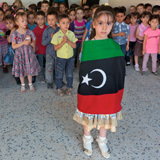 NI-CO was responsible for developing a concept of community policing with the Libyan Police and local communities that will be rolled out as a pilot community policing project.